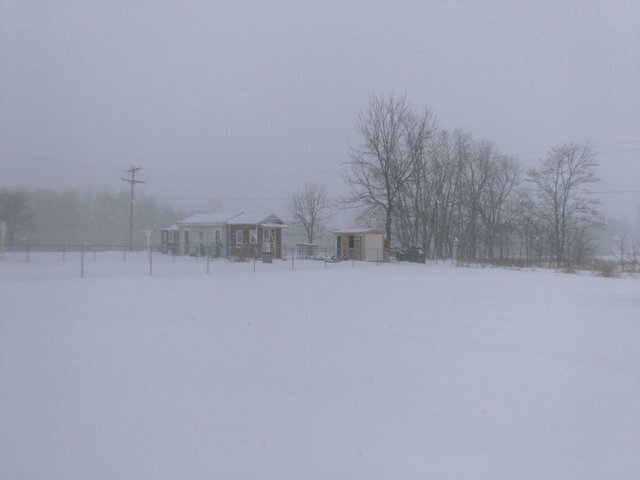 We are under a winter storm warning here in Michigan, the county I live in is expected to get the most snow, 8-12 inches. It has been snowing for the entire 8 hours I have been awake and doesn't seem to be slowing down. Over 300 schools closed (most of them last night) and many of the local businesses closed down as well. I went out and stocked up on food yesterday in case we are snowed in for a couple days. In addition to the snow we are due to experience record low temperatures. 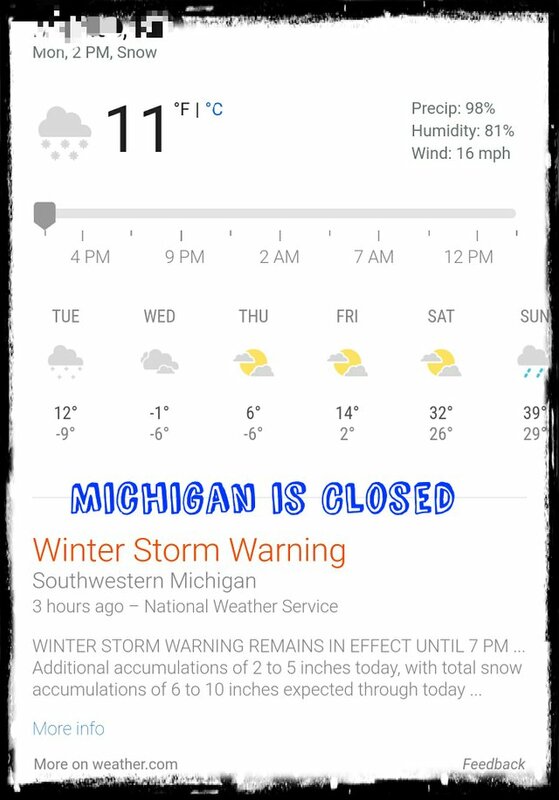 I added the "Michigan is Closed" bit, in all fairness for me and my littles it certainly is. It is predicted that with the wind chill we will experience -25 to -35 Farenheit over the next couple days. 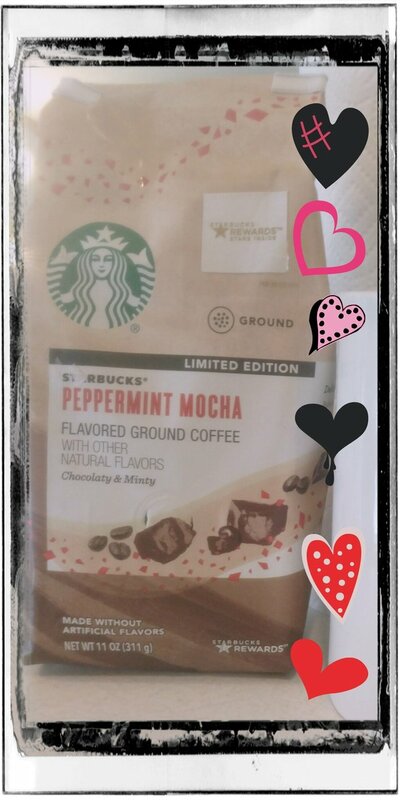 I won't be going anywhere, coffee, netfix and crypto stuff for me for the next couple days. However, this weekend it is suppose to be in the 30s. Good ole Michigan, she is a bi-polar one. 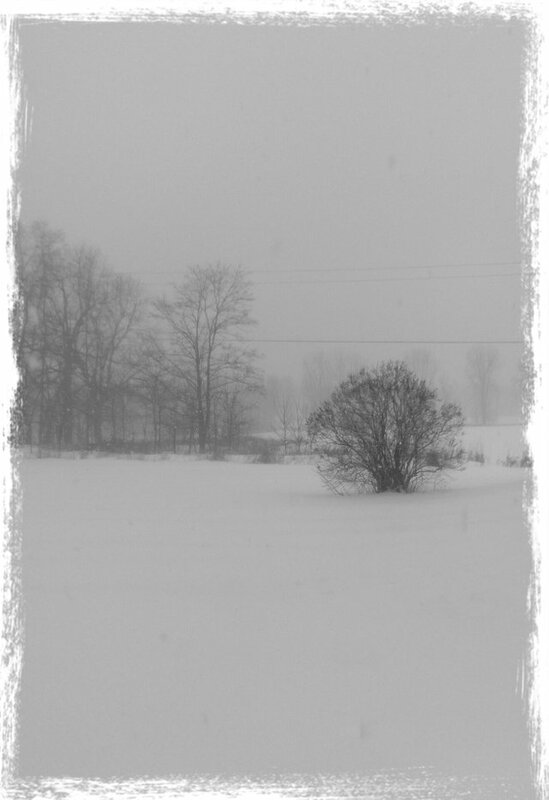 I edited this last snow photo to make it Black and White, that is my lilac bush in the photo, in May I will show you how it looks on full bloom. The snow sure is beautiful and so long as we don't lose power I am not even mad about this snow/cold. Your not alone. Wisconsin is close too. Also in Upper Michigan? I've never driven with all weather tires in icy weather but it has to be incredibly dangerous. There are non-studded winter tires that have a different kind of pattern suited for snowy roads but on icy roads such tires are positively deadly unless you slow down to a crawl. Are those what you call all weather tires? Even then, hills can be dangerous because you don't have any traction without metal studs or without chains on. Hello @krazykrista! This is a friendly reminder that you have 3000 Partiko Points unclaimed in your Partiko account!